Marvel has found a way to go bigger. Avengers: Infinity War will be shot entirely in IMAX witht the new IMAX/ARRI 2D digital camera, “a joint customized digital version of ARRI’s new large format camera, the Alexa 65.” This is the first time a Hollywood film will be shot entirely in IMAX and will be exclusively in the IMAX aspect ratio. Infinity War directors Joe and Anthony Russo will be using the IMAX/ARRI 2D digital camera for some of the action scenes in their upcoming film, Captain America: Civil War, so they’ll have some experience with them before they move to Infinity War. This is fantastic news. If you’re wondering why this hasn’t happened before, it’s because in addition to these cameras being ridiculously expensive, they’re also extremely loud, which makes it difficult to use them during dialogue scenes. They’re also difficult to rig, which is one of the reasons Christopher Nolan’s work is so impressive. Speaking of Nolan, I’m curious to see if he’ll start using the IMAX/ARRI. He loves IMAX, but he’s also a huge advocate of film. I’m curious to see if any other movie tries to get shoot entirely in IMAX/ARRI before Infinity War, which, according to Chris Evans, won’t start rolling until late 2016. IMAX has also created a new laser projection system, which I’ve heard is the future of cinema, although I’m wondering how quickly theaters will move to replace their old IMAX projectors with this latest version. The only downside to all of this is that the 3D IMAX release will be digitally re-mastered, and I still think 3D is a gimmick, especially when the film is post-converted. Of course, it’s impossible to say at this point how much better Infinity War will be in 3D. Guardians of the Galaxy got a solid transfer, but it added nothing to Avengers: Age of Ultron. Hopefully, since the cameras shoot in 2D, Marvel will offer theatergoers the option of seeing it in either 2D IMAX or 3D IMAX. Either way, this is a big win for filmgoers and for theaters, who are looking for a way to draw back in patrons by offering an experience that can’t be recreated at home. Check out the press release below. Avengers: Infinity War – Part I opens May 4, 2018; Part II will open on May 3, 2019. LOS ANGELES, May 7, 2015 /PRNewswire/ — On the heels of the colossal domestic opening of Marvel’s Avengers: Age of Ultron, Marvel, the Russo brothers and IMAX Corporation (IMAX) today announced that Marvel’s Avengers: Infinity War – Parts 1 & 2, the two-part installment to the global blockbuster franchise, will be shot in their entirety using IMAX® and ARRI’s next generation revolutionary 2D digital camera – a joint customized digital version of ARRI’s new large format camera, the Alexa 65. The two-part Avengers saga marks the first time a Hollywood feature film will have been shot completely using IMAX® cameras and will feature IMAX’s exclusive aspect ratio, providing moviegoers a uniquely immersive experience. Prior to filming Marvel’s Avengers: Infinity War – Parts 1 & 2, Joe and Anthony Russo, who also directed Marvel’s Captain America: The Winter Soldier, will use the IMAX/ARRI 2D digital camera for select action sequences on the forthcoming Marvel’s Captain America: Civil War, which will release in IMAX® theatres in May of 2016. The next-generation 2D digital camera – co-developed by IMAX and ARRI – is meant for use by today’s leading filmmakers working in the IMAX® format. The joint solution is designed as a complementary tool to IMAX’s high-resolution capture technologies – including its 3D digital and 15perf / 65mm film cameras. Moreover, IMAX worked with ARRI to achieve the highest level of digital image capture for playback on IMAX’s xenon and new laser projection systems. 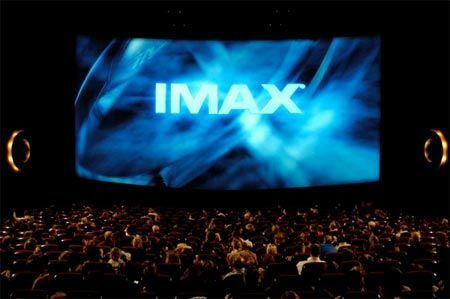 IMAX recently began rolling out its next-generation laser projection system, with more than 71 laser system deals signed globally to date. Such iconic venues to feature the new system include the newly retro-fitted Airbus IMAX Smithsonian Theatre at the Steven F. Udvar-Hazy Center in Chantilly, VA., and Seattle’s Boeing IMAX Theatre at Pacific Science Center, both of which re-opened in time for the release of Marvel’s Avengers: Age of Ultron – the first film to be re-mixed for IMAX’s new 12 channel sound system at these IMAX with laser locations. Marvel’s Avengers: Infinity War – Part 1 is slated for release in IMAX theatres on May 4, 2018; Part 2 will open on May 3, 2019. The IMAX® 3D release of Marvel’s Avengers: Infinity War – Parts 1 & 2 will be digitally re-mastered into the image and sound quality of The IMAX Experience® with proprietary IMAX DMR® (Digital Re-mastering) technology. The crystal-clear images, coupled with IMAX’s customized theatre geometry and powerful digital audio, create a unique environment that will make audiences feel as if they are in the movie.